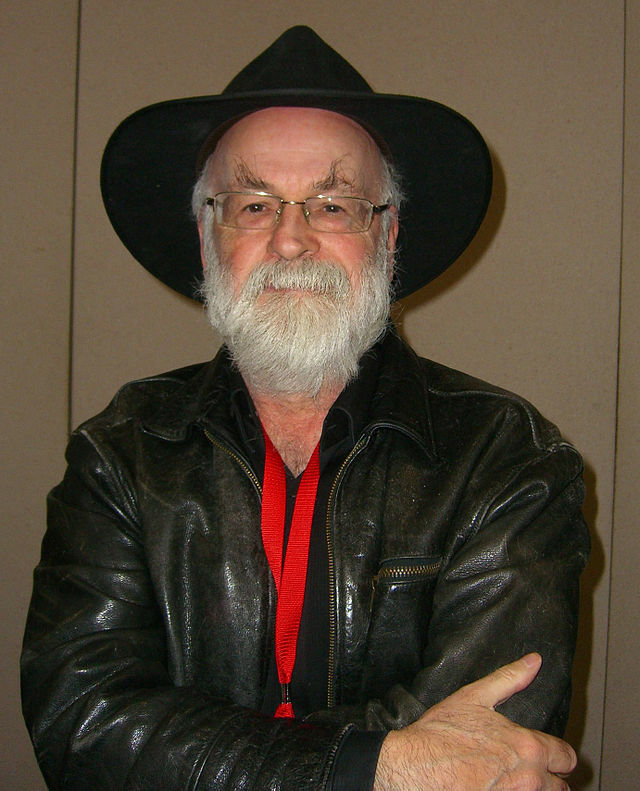 In Honor of Terry Pratchett, Let’s See your Most Fantastical Post! Today’s corn allergy conversation has been preempted by the passing of British author, Terry Pratchett. He passed away Thursday, March 12, 2015 after a long battle with early onset Alzheimers. For those of you that have followed this blog for a while, you know I’ve been a big fan for almost all my adult life (When you do the math on that one, please be kind!). I’ve even created a recipe for Dwarf Bread based on his Diskworld novels. Thursday was the second time in my life, I’ve cried over the death of someone I’ve never met. The first time was when Douglas Adams (of Hitchhiker’s Guide to the Galaxy fame) died. What consoled me then was that at least Terry Pratchett would still be writing books. I’m inconsolable now. No one can replace his dry wit and rampant use of footnotes*! He used a medieval fantasy setting to skewer modern society much the same way the court jester got away with telling the king the truth when no one else could. So in honor of Terry Pratchett, today I’d like to suggest that you share your most fantastical recipes, crafts and tips. The more wild and unbelievable, the better! As long as they’re corn-free, they’re eligible. We’ll get back to our featured post next week. Meanwhile, try a Diskworld novel, if you haven’t already. They’re fabulous! * Which were often funnier than the plot and occasionally ran over one page! 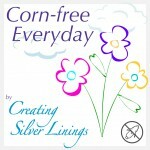 This entry was posted in Art, Link Parties, Recipes, Review, Tips and tagged allergy, corn free, corn-free everyday, healthy living. Bookmark the permalink. Good morning Jillian! I’m sharing my Strawberry Pineapple Smoothie. Hi! Jillian, Thanks for inviting me to the party. I hope you enjoy my spaghetti squash dish. Have a wonderful week! Hi Jillian, thanks for the invite! I shared my favorite tiramisu recipe today. 🙂 And just found some other interesting posts to read and cook! Thanks! I hope you enjoy the site!